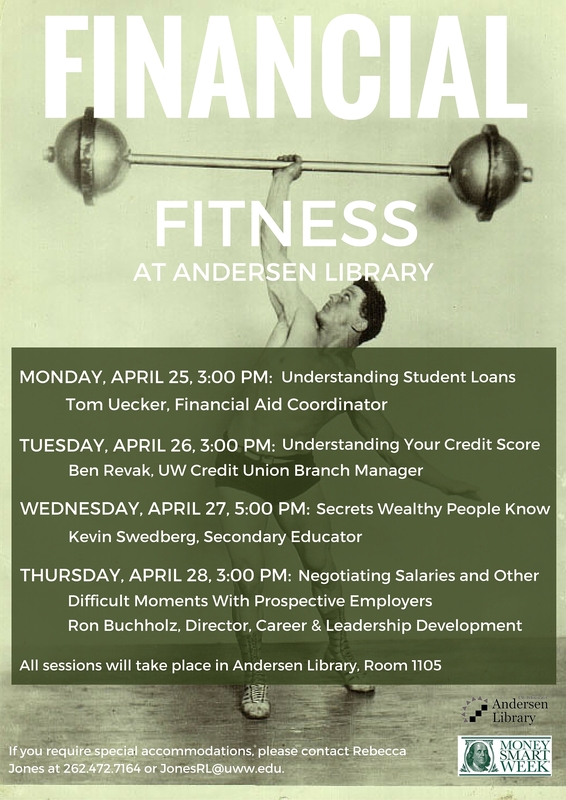 This week marks the start of Andersen Library’s Money Smart Week events! Join us throughout the week in Andersen Library 1105 to learn more about financial aid, credit scores, negotiating salaries, and more. Andersen Library also has a page dedicated to personal finance topics. Also, check out some of the Library’s books on personal finance. This entry was posted in money mondays and tagged financial literacy, money smart week, personal finance. Bookmark the permalink.